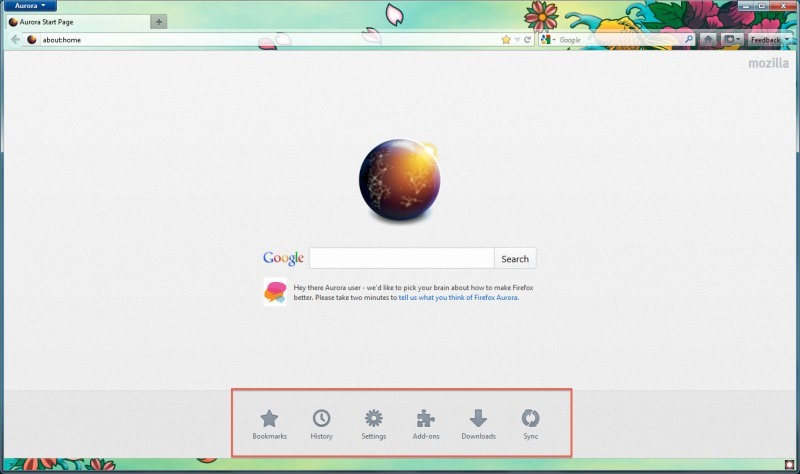 Firefox 13 is now debuting the Aurora channel, after the entry of Firefox 12 in beta channel, and the release of Firefox 11 last week. Users who've already started using Firefox 11 will be in for some major changes once Firefox 13 is out. The Aurora channel will witness the most significant changes that will be taking place in the browser, and the channel has in fact been known as the site where latest features in web services make a debut to a wide audience. True to it's reputation, the latest Aurora build for Firefox 13 comes with five features everyone will love. After months of experimenting with this feature, normally associated with Chrome, Mozilla now believes it's ready to release its New Tab page which will be enabled by default on the browser. It will feature 9 tiles of most visited pages, with the option of pinning tiles so they don't get removed even if not used often. There is of course the option to remove any tile you don't want, or hide it. An all new customized homepage has been created, which is a newer version of the Google search page which also serves as the default start page for Firefox. It's quite like the other homepages previously featured in Firefox, keeping everything minimal, with necessary buttons for accessing bookmarks, downloads, add-ons or even tips. The buttons should come in handy for most users who usually use the homepage to navigate around the browser. SPDY is enabled by default in Firefox 13, under the hood. This makes Firefox the second browser to add support for Google's HTTP protocol, apart from the Silk protocol on Kindle Fire. There is a new user agent for mobile devices such as phones and tablets, a separate one for both to help sites that usually use it to choose between the mobile or regular web version for mobile users. Over subsequent releases, Mozilla has focused on providing developer tools, although it's been only a few months since its been doing so. Some improvements have come for the page inspector and style inspector, with a 3D view in the former for better focus on elements.